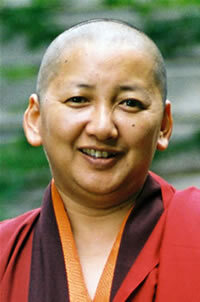 The 49th day marking the passing of Kyabje Trulshik Rinpoche occurred on the 19th of October 2011. People from all over the world gathered in Kathmandu to offer their respects to Kyabje Rinpoche and make aspirations in the presence of the Kudung. 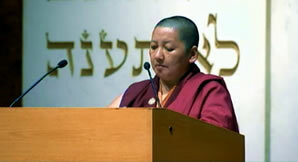 Jetsün Khandro Rinpoche and religious leaders of diverse faiths hold an interfaith vigil to reflect on the events of that day. 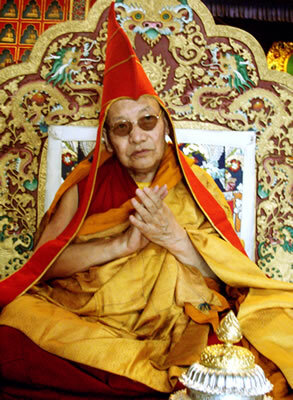 Kyabje Trulshik Rinpoche was one of the most beloved and senior most masters within the Mindrolling tradition. 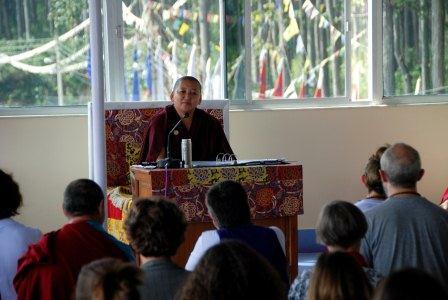 Her Eminence Mindrolling Jetsün Khandro Rinpoche leads the first annual teaching and practice retreat in India, February 2011. Gracie Carrie speaks with Rinpoche in the September 4, 2009 edition of the Interview . Audio recording available.